Looks cool, but the only Q-scale I'm looking to pick up is Ant-Man. Hope the line keeps trucking along though, its really great if its a size that strikes your fancy. 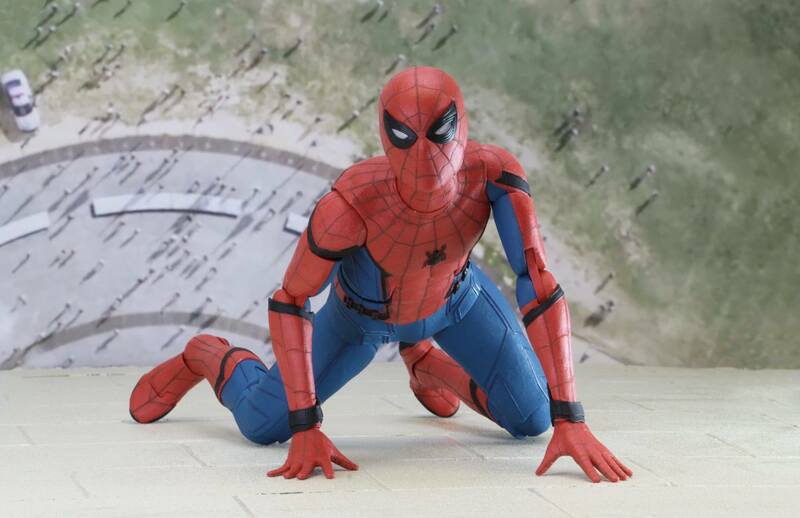 NECA Spidey a prototype? I do not see a waist swivel and such. Could be my bad eyes and hairy palms. If they include an Alternate Peter Pee...head I am in. If not, probably just Mafex version for me. Looks cool, but the only Q-scale I'm looking to pick up is Ant-Man. Yeah, I'd be very interested in seeing a 1/4 movie Ant-Man. Updated the above story with packaging photos as well. I like the looks of this. I just wish they had given him a cell phone, headphones, a backpack, and maybe a churro. Just to spruce it up a bit. I just wish they had given him a cell phone, headphones, a backpack, and maybe a churro. Technically we never see him eating said churro, he's eating the sandwich he picked up earlier. In either case I love it when figures come with food props. That seems a little large for him. Last edited by Joe Moore; 01-11-2018 at 05:28 AM..